Attention all yoga enthusiasts and the yoga curious, and lovers of contemporary art! Feel Yoga at 80 Princess Street is running another hot yoga night for the benefit of Modern Fuel. Fuel your Chakra and Modern Fuel with a minimum five dollar donation. The night takes place on Thursday August 12th at 7:30pm. 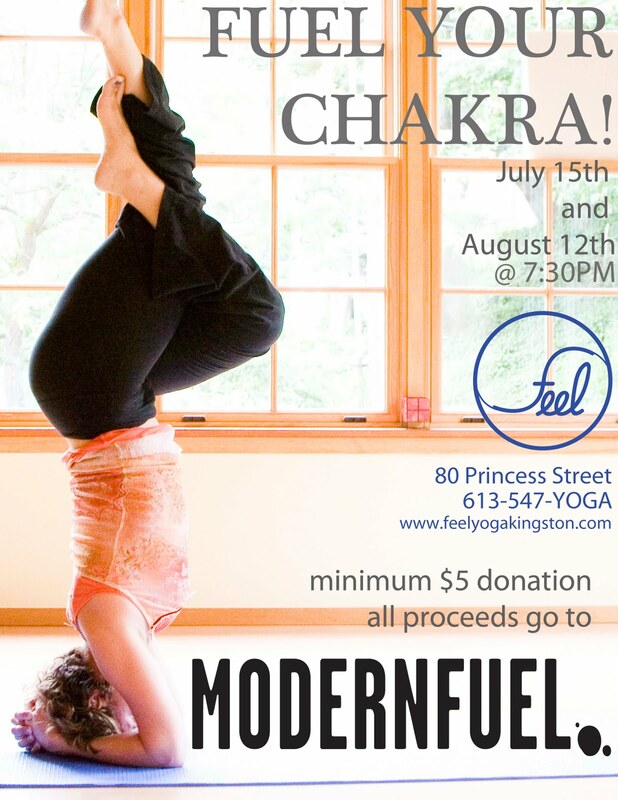 If you have been thinking about trying out a hot yoga class at Feel Studio and supporting Modern Fuel, now is your chance. All proceeds from these two scheduled classes will go to Modern Fuel. New students are welcome but be sure to arrive a little early as this is a popular class that fills up quickly. Please note that this is a yoga class held in a heated room so ensure that you are well hydrated before the class, wearing light, stretchy clothing and bring a towel and a water bottle with you.